NO ONE allowed on ANY court without an appropriate wristband. We reserve the right to TAKE AWAY anyone’s wristband. NO JUMPING UNDER THE INFLUENCE of anything, EVER! Foul language will not be tolerated. NO food, drink or gum allowed on the platform or trampolines. NO objects WHAT SO EVER allowed in pockets (cell phones, glasses, keys, etc…). No sharp objects like belt buckles, studs or jewelry allowed, NO EXCEPTIONS! No shoes allowed on trampolines. ROCKIN’ SOCKS are required for all jumpers. You must leave shoes, clothing and other loose items in lockers or cubbies. Items left laying around will be picked up and removed from area. NO sitting on trampolines ANYWHERE, ANYTIME! NO jumping, sitting or standing on the yellow padded areas. Climbing on walls is prohibited. Touching top pads is prohibited. NO rough play, westling, running, shoving, tag, or double bouncing. NO touching or leaning on nets. NO flips or tricks over the padding or onto platforms. Always walk onto platforms. NEVER attempt skills beyond your ability. BOUNCE AT YOUR OWN RISK. STOP YOUR BOUNCE by flexing your knees as your feet come in contact with the trampoline. NEVER land on the pads. ONLY ONE jumper at a time onto the bag from each lane. Once you land on the bag you must climb off IMMEDIATELY. Never land head first, in an arched position or on your chest or stomach. ALWAYS tuck your chin to your chest when attempting a flip. Land on back and do not over rotate. This arena is the best way to learn how to flip safely and softly. ACTIONS AND BEHAVIORS WE ASK YOU TO BE MINDFUL OF WHEN VISITING ROCKIN’ JUMP. WARNING: Trampoline jumping is a very physical activity and thus is inherently dangerous. We must advise that you will be jumping at your own risk and remind you to jump within your ability. Waivers must be signed by or on behalf of all jumpers. Without a signed waiver, you will not be allowed to jump. If you fall, don’t try to catch yourself with your hands. Duck and roll. No running please. If you need to take a break, either leave the arena or sit along the side pads between the angled side wall trampolines and the flat floor trampolines. When existing a jumping arena, please walk off, do not jump off. Watch out for smaller kids. Always give them right of way. No Jumping over other jumpers. One person at a time jumps into the foam pit. Please wait for the person in your lane to exit the pit before taking off down the runway. Also, please don’t toss the foam cubes around. Make sure to empty your pockets before jumping – what’s left in your pockets when you start jumping won’t be in there for long. If you land on the yellow pads in between the trampoline beds, be sure to bend your knees. It will soften your landing and help avoid injury. We do not allow double jumping – where one jumper uses his/her own weight to launch another jumper on the same trampoline to bounce higher. Practice safe bouncing off the angled walls – do not flip off of the walls at any time – this can lead to serious injury. Either jump onto the side walls with your back or your feet, being sure to return to the flat trampoline bed with both feet. Please don’t chew gum while jumping – it may end up on places no one will appreciate, and can cause a choking hazard. Play dodge ball at your own risk, and understand that if you purposefully throw balls at other players’ head or face or with unnecessary force, you will be asked to leave the park. Please do not hang on the basketball hoops – yeah, it’s fun, but isn’t very good for our basketball equipment. Don’t let your friends convince you to do tricks you are not comfortable with. Keep and consume your food and drinks in the party rooms and café table areas. While we agree, it would be funny to watch you try to drink/eat while bouncing, much more of your drink/food will end up on you and around you than in your mouth, and guess who ends up cleaning it up (our Rockin’ Staff…). 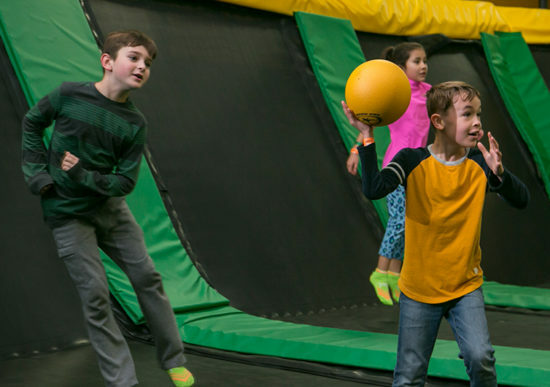 Wash your hands, often – Rockin’ Jump is open to the public year round. While we have invested in state of the art cleaning methods and supplies, it is still a good idea to wash your hands or use hand-sanitizer frequently. At Rockin’ Jump, your safety is our number one priority. Rockin’ Jump is a member of the ASTM Section F24 Standards committee: https://www.astm.org/COMMITTEE/F24.htm . The ASTM is a multi-industry organization that sets standards for safe operating practices and procedures. Our management team attends weekly conference calls and quarterly/annual meetings hosted by the ASTM in an effort to ensure all of our parks and employees are on top of our safety game. 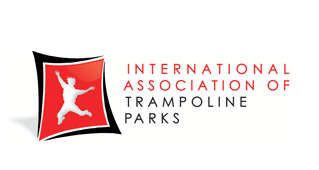 Rockin’ Jump is also a founding member of a new ASTM committee helping to establish trampoline park safety standards. Jump Patrol ™ – each of our jumping arenas is monitored by a trained Jump Patrol ™ team member. Their responsibilities include but are not limited to: Monitoring arenas for play that can lead to unsafe conditions and injuries. Keeping jump arenas from becoming overcrowded – by continuously counting how many people are in an arena at one time and limiting entry to new jumpers until space allows. Stopping unsafe jumping immediately, including removing a guest from an arena if they fail to discontinue such activity when asked. Providing jumpers with coaching on how to safely use each arena. All springs between trampoline beds are fully covered, ensuring jumpers cannot fall on, through or be directly injured by springs. We have full time staff regularly maintaining our equipment, performing daily inspections to identify and replace worn down parts. Redundant Beds – Every portion of our jumping arenas have had redundant nets installed. These nets act as a secondary safety net underneath the trampolines. So in the unlikely event a trampoline bed fails, there will still be something there to catch you. Padded Posts – pads are secured to all metal posts in the jumping arenas to protect jumpers from injury. Extra Netting – the netting around the top of all arenas is up to 6’ above the arena’s pads. This is to ensure that no one can fall over the top of the arenas after a rather wild or high jump. Safety video – we have a constantly running safety video near the check-in area at our parks. Our front desk personnel direct all customers to watch this video before jumping. It is essential you and your loved ones watch this quick video before starting to enjoy our clubs. We even make it available to you to view online via our YouTube channel. Socks – we have Rockin’ Jump’s no-slip socks available to purchase before you start jumping. Wearing this type of sock will reduce slipping and friction burns, ensuring you all have a much better time. Safety & Jumping Rules Signage – safety signage is placed throughout our parks – and our Rockin’ Staff will gladly remind you of these rules should you happen to “forget” while you’re having fun. Reserved Area For Younger Jumpers – in our primary jumping arena, we have installed curtains that can section off about 1/3 of the arena for younger, less experienced jumpers. Ensuring that more confident jumpers can have their fun while not endangering the newbies. As a venue that hosts scores of guests every single day, cleanliness is a big concern for Rockin’ Jump. We expect our staff to routinely monitor our restrooms, party rooms and common areas to ensure they are clean and free of debris. Always let us know if you see an area needing immediate attention. On Fridays, Saturdays and Sundays we have roaming Rockin’ Staff team members whose sole responsibility it is to keep our bathrooms and common areas ready for your enjoyment. We provide anti-microbial hand-sanitizer throughout our facilities, and encourage our jumpers to use it frequently. At Rockin’ Jump, we take our customer service seriously. Our entire team is focused on ensuring that our mantra of Safe. Clean. Fun. ™ is made possible at all times. We encourage our guests to provide their feedback to our managers. Your comments and ideas enable us to continually improve the Rockin’ Jump experience for everyone. Jump Patrol ™ – this is our human safety monitor team. Every jumping arena at Rockin’ Jump is monitored by a member of our Rockin’ Jump Patrol ™ staff. That means that on average, there are at least 4 monitors on watch at all times. While that may not inherently sound like fun, “fun” is actually their primary purpose. Our Rockin’ Jump Patrol ™ are not there to keep you from having a good time (we’re especially talking to our young fans). Instead, their objective is to ensure you have a great time, while not hurting yourself or anyone around you. So, when they call you out, please be sure to listen to them, because it’s quite likely you didn’t remember one of our safety rules and the people around you may not be having as much fun as possible. We encourage all customers to watch our safety video as part of the check in process. Doing so ensures jumpers wont accidentally break the rules and get into trouble with our Jump Patrol ™. That’s no fun. We have multiple private and semi-private party areas, perfect for birthday parties, family gatherings and special events. In fact, parties and special group events are one of the biggest reasons people come to Rockin’ Jump. We have created individual zones within each Rockin’ Jump park where people of all skill levels can have fun. If you have always dreamed of being able to do a slam dunk (we’re talking to the more vertically challenged of those among us), then check out our basketball arena. If you have recently reminisced about your grade school battle ball/dodge ball days, look no further than our Rockin’ Dodge Ball arena. Need to work on that back flip? Then stretch out in our open jump arena. Or freestyle jump into our unique foam cube pit. Most Rockin’ Jump locations have a gourmet café. These Rockin’ Cafés provide a great combination of comfort and healthy foods and refreshments. They can also cater your parties here at Rockin’ Jump, or at home. We offer a variety of special programs for parents and tots, teens and tweens, people who want to get a great work out, and much more.